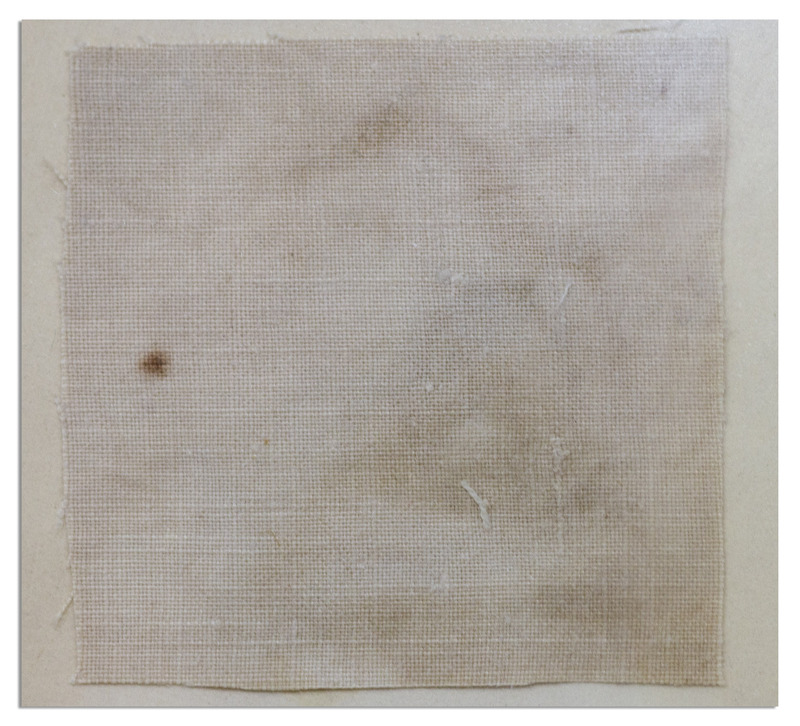 Fabric from the first airplane, the Wright Flyer, which made its debut flight at Kitty Hawk on 17 December 1903. Fabric measures 1.5'' square, affixed to a certificate signed by Lester D. Gardner, Editor of Aviation and Aeronautical Engineering, and close friend of Orville Wright. 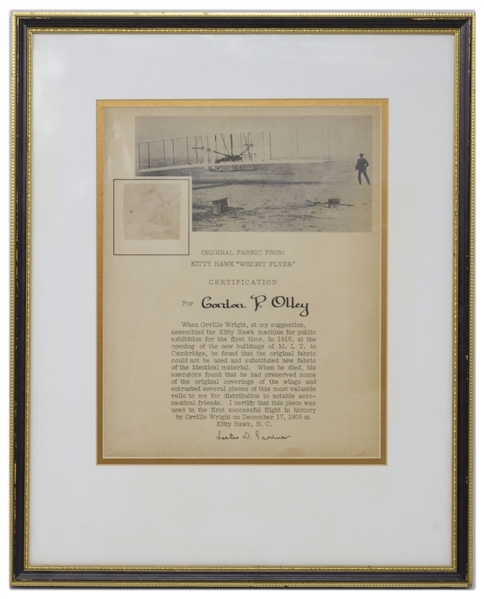 Certificate to Gordon P. Olley, a World War I flying ace, reads in part, ''...Orville Wright...had preserved some of the original coverings of the wing and [his executors] entrusted several pieces of this most valuable relic to me for distribution to notable aeronautical friends. I certify that this piece was used in the first successful flight in history by Orville Wright on December 17, 1903 at Kitty Hawk, N.C. [signed] Lester D. Gardner''. Certificate measures 8'' x 10'', handsomely framed in gold and black to 12.25'' x 15.25''. Uniform toning to certificate, else near fine condition.